We're usually open 7 days a week, from 8.30am and any changes are posted on our facebook page or by the main Dive Bus shop gate. First thing in the morning is our busiest time of day, when we're setting up and prepping for our divers. If you arrive before 8.30am, you may end up with a job to do or being (politely) ignored until everything's done and ready to go for the day. If you're renting tanks and / or equipment, please return it by 4.30pm so we can fill the tanks and rinse and dry everytying. The Dive Bus shop is on an important road, M. L. King Boulevard, which is closed for major running, walking, cycling and celebratory / festive events throughout the year. Typically we open 1 hour later for these events, but your check-in time will be on your Booking Confirmation. If you're not planning to make a reservation, check our blog orfacebook page for any changes to opening hours / days. 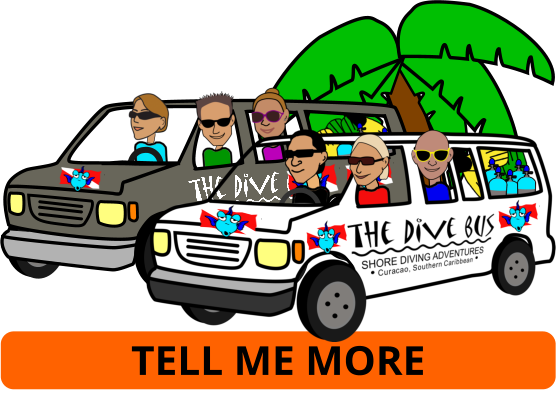 Rather than a fixed activity or dive-site schedule, the schedule is built around activities booked by you, our divers. So to get to do what you want to do, when you want to do it, book in advance: the first buddy teams to confirm set the dive activity schedule for the day! Check-in for morning activities is 8.45am; afternoon sessions at 1.30pm and will be on your Booking Confirmation. End times depend on what you're doing with us and where you're doing it. If your return time is important (for example, you really don't want to miss your cruise ship), make sure to tell us when you make your reservation.